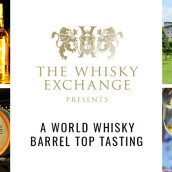 Over the past year, we’ve had a nice selection of whiskies exclusive to The Whisky Exchange. We’ve had a few trips up to Scotland to wander around warehouses and sit in meeting rooms; nosing, tasting and selecting whiskies that will have our name on. However, we’ve not recently ventured outside of the UK – a situation that has now changed with our latest exclusive: Millstone 2004 Dutch Single Rye Whisky cask #667. 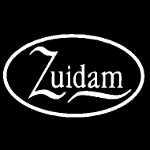 The team at Zuidam in The Netherlands have been producing spirits and liqueurs since the mid-1970s, but have only turned their hands to whisky production since the late 1990s. 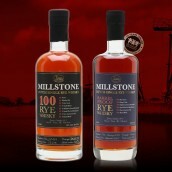 Using the name Millstone, they started with single malt whisky but have since been experimenting. 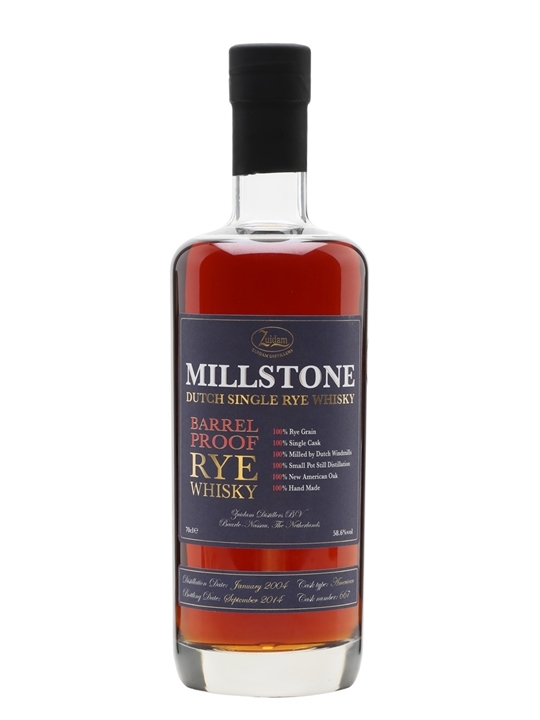 With forays into the world of peat and a variety of cask finishes under their belt, they’ve also stepped away from the more Scottish style of whisky and looked across the Atlantic to the USA: step-forward Millstone Rye. The Millstone 100 Rye turned heads at our Zuidam tasting at TWE Vinopolis earlier in the year, and when we were offered the chance to choose a cask to be bottled for TWE, we couldn’t say no. We were sent a few samples and after some comparing and contrasting, went for cask #667: a rich dram with lots of characteristically spicy rye notes, especially bottled at cask strength. A perfect mix of intense flavours and rye spice that works well on its own or, blasphemy alert, in cocktails. Nose: Cinder toffee and honey off the bat, with an underlying savoury rye sourdough note. Sharp orange zest appears, accompanied by maple syrup, nutmeg, salted butter and a touch of freshly milled rye. Palate: Big oaky flavours, with layers of green twigs, polished tables and spicy, freshly cut boards. Woody spice abounds, with cinnamon and nutmeg joined by clove-studded oranges, dark chocolate and hints of singed oak. Finish: A lingering spicy tingle, with fresh mint, menthol and a green leafiness alongside barley sugar and woody spice. Comment: A powerful whisky that’s sweet and spicy when sipped neat. The strong flavours mean that it also works in drinks that need a full-bodied rye whisky – we’ve been using it to make fantastic sweet Manhattans. I’m not always the biggest fan of rye whiskey on its own, sometimes finding the trademark spice a bit too much, but it’s something I always have in my cocktail cupboard. The huge punch of spicy flavour is just what you need when making cocktails, making the spirit a key ingredient rather than just something that can get swamped by other strong flavours – many whiskies disappear in a Boulevardier (equal parts rye whiskey, Campari and sweet red vermouth) if you use a heavy vermouth like Antica Formula, but jack up the spirit’s intensity and your drinks can sing. The popularity of rye is still going through the roof, as more and more people rediscover classic American cocktails, as well as realise that drinks with more flavour aren’t to be feared. 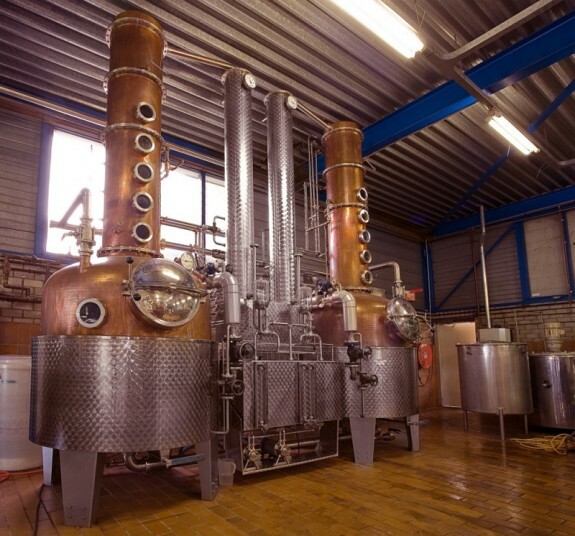 While it’s sometimes hard to find the more interesting rye whiskeys from the USA, although we make sure we always have a good selection, there is now an alternative: Dutch rye.